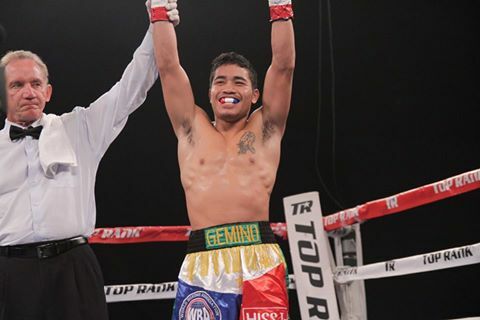 Jhon Gemino of the Philippines is currently a star due to damage he made against the Top Rank prospect Toka Kahn Clary yesterday September 24, 2016 at Osceola Heritage Center, Kissimmee, Florida, USA. The underdog Jhon Gemino knocks out cold Toka Kahn Clary in the very 1st round of the fight. The very confident Clary demolished by Gemino, Gemino connects to the body then follow up with the right hook straight on the chin and Klary goes down and never get up. Gemino shocks the world and now could face the top boxer in the super bantamweight division including Guillermo Rigondeaux #2, Cesar Juarez #9, Emanuel Navarrete #11 and more.